Using an iTero scanner, Dr. Tavakkoli can take a highly accurate digital impression that can be used for any restorative treatment as well as orthodontic treatments like Invisalign®. I can always count on Dr. Tavakkoli and his staff to exceed all of my expectations. He is professional, caring and does excellent dental work. I just completed my Invisalign treatment and I’m delighted with my beautiful, straight, white teeth! Are your teeth chipped or stained? Would you like to improve your smile permanently, without any painful processes? We are pleased to offer Lumineers as an alternative to traditional porcelain veneers. Drs. Kamran Tavakkoli, Kambiz Tavakkoli and Bryan Choi offer complimentary Skype and FaceTime consultations. Drs. 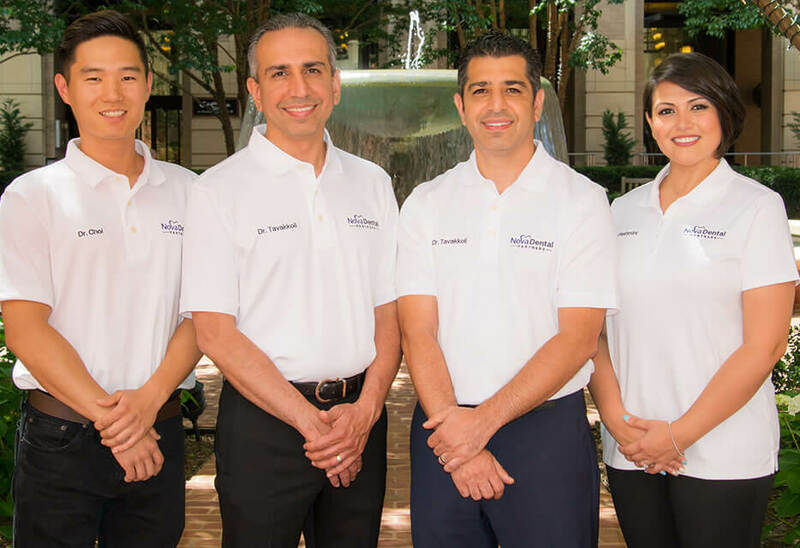 Kamran Tavakkoli, Kambiz Tavakkoli, Bryan Choi and Naghmeh Pashmini stand by their commitment to serve families throughout the Alexandria and Woodbridge communities by providing truly excellent dental healthcare. As part of their ongoing training, our doctors have taken upon themselves to receive extensive training in anxiety management, pain control, cosmetic dentistry, and implant dentistry. Excellence in dental care is the foundation of our practice. Your beautiful, confident smile is our top priority. Our daily goal is to assist you with achieving and maintaining long-term dental health and a beautiful smile. Dr. Kamran Tavakkoli, Dr. Kambiz Tavakkoli, Dr. Bryan Choi, Dr. Naghmeh Pashmini and our entire dental team, are dedicated to providing you and your family with personalized and gentle care. You can rest assured that your experience will be nothing less than everything modern dentistry and the latest technology have to offer. Please feel free to contact our Mount Vernon, Lake Ridge, Old Town, or King Street Station dental office to schedule an appointment. A member of our team will be more than happy to answer your questions about our practice and services. We look forward to meeting you! Stop problems before they start with regular exams and cleanings. Replace missing teeth for ideal oral health and facial balance. Non-surgical gum treatments to prevent the spread of periodontal disease. Treat a cracked tooth to prevent damage to the tooth structure and tissue. In-office and at-home options for a bright, white smile. The clear, convenient way to get a straight smile. Minimally invasive veneers for a white, ideal smile that lasts. Eliminate jaw pain and headaches with non-invasive TMJ therapy. We offer video and photo tours of all four of our convenient office locations to give prospective patients the opportunity to familiarize themselves with our offices before coming in.